Putting on a successful event is challenging enough, but for small businesses it can bring up whole new set of problems. They often don’t have the budget that larger corporations enjoy, or the staff to put on a great show. However, just because you are running a small business doesn’t mean you are not expected to put on events that are successful and draw in the crowds. The main problem for small businesses is raising the finance in the first place. Will you use company funds, borrow from investors or the bank? There are many ways to raise money for events, such as pre-ticket sales, crowd-funding, or personal bootstrapping, but think about raising funds wisely. You don’t want to be in debt because you borrowed too much or from the wrong source. Once you have the funds in place it is really important that your budget is spent wisely, this could be on advertising the event, paying for catering, the venue, staff on the night and such like. Allocate funds to the places where you cannot get out of spending, and look at the overall picture to see where you can save money. Partnering with the right people can make all the difference between a successful event and a failure. Make sure you are clear about what your partners are expecting in return and what both parties can deliver. If the partnership is not mutually beneficial then find another one. Small businesses typically have one or two main players at the helm of the company who are likely to want to control every aspect of their business. A general stereotype we know, but true enough. It is important to delegate effectively and not load everything onto one person. They will never be able to manage it all effectively. It has been said that David Bowie was notorious for stealing good ideas and putting his own unique slant on them. Don’t be afraid to look around for inspiration and use the elements of what you like and then put your own spin onto them. Other events may have huge budgets and hundreds more people, but use the best ideas, as you can, in your events. As we have mentioned, financing is one of the biggest problems facing small businesses, but by thinking outside normal parameters there are tons of opportunities to save money. Venues for instance can be in small cafes for bespoke food events, larger gyms for sports-related affairs, art galleries for fashion inspired productions. Think about where you can get free venues, cheap access and partnering with other local businesses to save money. Maintaining good relationships with your customers is key to making sure they attend your events. If you rarely sell to them, keep their interest up by regular emails offering great deals and promotions. Post on social media pages about membership benefits, send e-newsletters monthly. Keep them posted on regular updates. Being creative about making your event stand out from all the others is difficult but by using imaginative advertising that is different that employs new and innovative technology you’ll stand out from the crowd and perk up people’s interest. Educating existing and potential customers on your products is key as if they do not know what you are selling then how can they be interested in attending an event? This should be your first priority and getting your employees to up sell and cross sell products is also important during the event. Having employees of the week or month, morning huddle meetings that inspire your workforce are not a waste of time. They are proven to get the very best out of your staff. Especially when coming up to an important event. Make your employees feel valued and you’ll get much more out of them on the day. 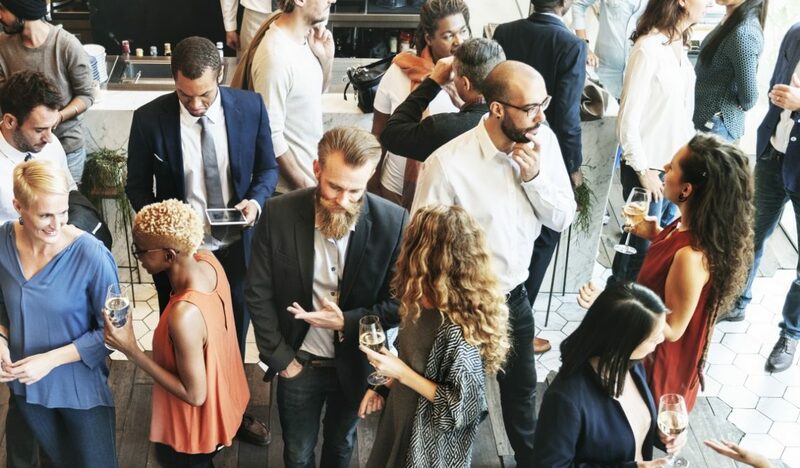 Finally, networking, before, during and after an event can build future business, valuable contacts and start up great ideas and opportunities. Thanks to social media it is much easier to connect, but don’t forget that good old fashioned manners and speaking directly to people can oil future business and make everyone successful in the long run.